CHANppointed as a Jathedar of Takht Sri Damdama Sahib. he High Court granted bail to Jathedar Baljit Singh after debating his case. Agreeing with the statements of the defense lawyers, Advocate Simranjit Singh, Advocate Shinderpal Singh and Advocate Gurbinder Singh Sidhu, Justice M.S. Bedi accepted the bail plea of the Jathedar and scolded the Punjab government for its anti-democratic activities, in its six page verdict. It is notable here that President of United Akali Dal Bhai Mohkam Singh and General Secretary of United Akali Dal Bhai Gurdeep Singh Bathinda have already been bailed by the High Court. 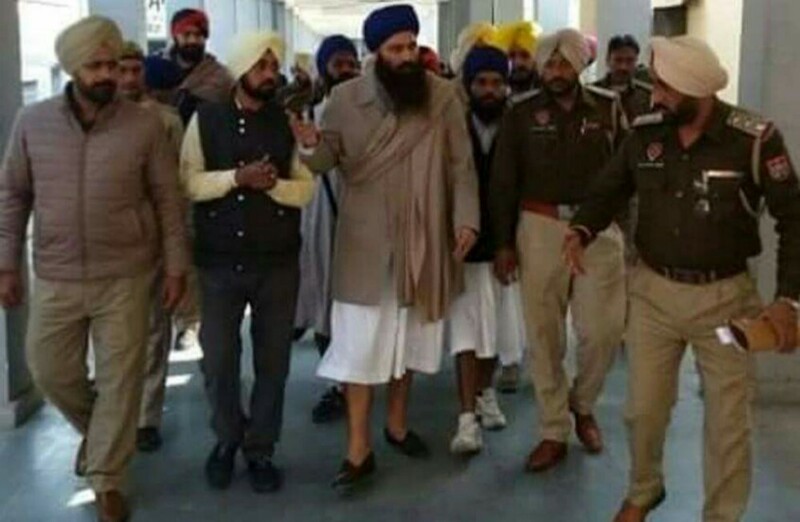 Bhai Gurdeep Singh Bathinda was given bail on February 15 and the High Court had kept the decision reserved on bail plea of Jathedar Daduwal. Internal sources have revealed that after getting rejected from the Amritsar Session Courts on January 29, bail plea of Sikh activist Bhai Papalpreet Singh (General Secretary, Sikh Youth Front) has been moved to the Punjab & Haryana High Court. The High Court has asked for the video of Bhai Papalpreet Singh reading the message of Bhai Narain Singh Chaura during Sarbat Khalsa 2015.